Even with the bond market’s muted response to the Federal Reserve’s plan to begin winding down its almost $4.3 trillion portfolio of mortgage and Treasury securities, there are plenty of reasons why the calm probably won’t last. Since the election the financial markets have been trying to price in “Trumpflation.” This is the idea that the combination of infrastructure spending, tax cuts, rising deficits, immigration curbs and protectionist policies could reverse the disinflationary trends we have witnessed over the past few decades and more dramatically since the financial crisis. The selloff in the bond market amid surging interest rates might be the single most important piece of evidence in this regard. This week’s EVA brings the second edition of our new Random Thoughts format. The goal with this approach is to cover several key, but often unrelated, topics in a quick overview fashion. In this issue, we are looking at, once again, the powerful financial force known as credit spreads. Fortunately, they are not indicating financial stress at this time. We are also examining the supposed truism that this is one of the most detested bull markets of all time. Then, we wrap up with a look at the Fed’s and Wall Street’s forecasting track record (hint: both make a dart-board look good!). As always, your feedback is welcomed and appreciated. 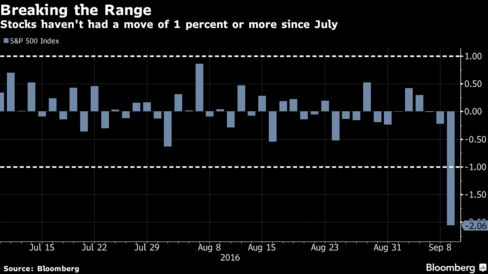 Tranquility that has enveloped global markets for more than two months was upended as central banks start to question the benefits of further monetary easing, sending government debt, stocks and emerging-market assets to the biggest declines since June. The dollar jumped. The S&P 500 Index, global equities and emerging-market assets tumbled at least 2 percent in the biggest rout since Britain voted to secede from the European Union. The yield on the 10-year Treasury note jumped to the highest since June and the greenback almost erased a weekly slide as a Federal Reserve official warned waiting too long to raise rates threatened to overheat the economy. German 10-year yields rose above zero for the first time since July after the European Central Bank downplayed the need for more stimulus. As German bond yields breach unthinkable levels, BK was struck by a chart from Deutsche Bank – it is a chart of German yields since 1807. Over the years, it's become essential (to me) to understand monetary policy and money flows across the globe. With all of the recent 'pining' over whether the Fed will begin to raise rates this year, I felt this piece from Financial Times gave a great representation of who is worried over what, and why. I truly recommend you give if it a read. There's also more discussed on this article. Enjoy. Why is the Fed considering raising interest rates now? I'm crazy to do this, but it sure looks like the Great Bond Bull Market has ended and we are in the early stages of another bond bear market. It seems not all money managers out there have the warm-n-fuzzies for equities in 2015. Especially considering the almost two year sell-off in commodities, finally joined by crude oil in dramatic, face ripping action. 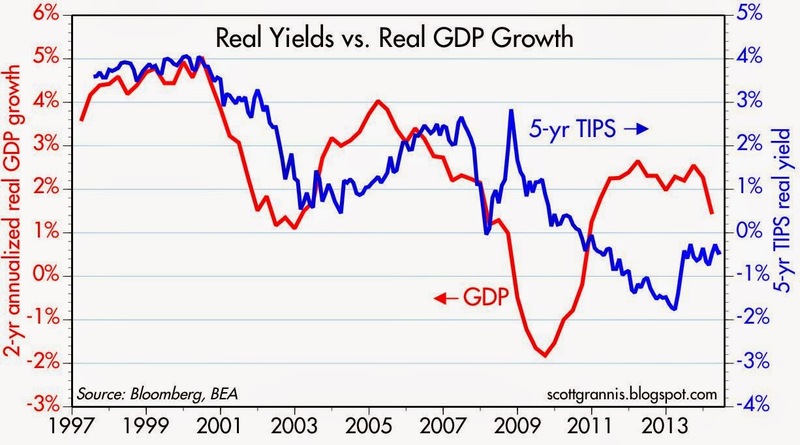 In fact, one feels that the rise in interest rates in 2015 will do what is not expected; flatten the yield curve. If the curve flattens gradually, most traders said it probably means investors believe the Fed will keep future inflation in check with gradual rate hikes. Bond traders hate inflation because it erodes the value of their fixed-income investment. But if the curve-flattening trend speeds up? IT HAS been a consistent theme of this blog in recent months that global growth has been slowing, a fact some investors may have missed in the good news about American GDP. The latest confirmation came from the World Trade Organisation, which cut its forecast for trade growth this year from 4.6% to 3.1% and for 2015 from 5.3% to 4%. The WTO doesn't forecast economic growth directly; it takes its lead from other international organisations (Rabo Bank reckons the IMF is set to reduce its growth forecast in the next few weeks). I'd be trading this bad boy to the long side. In this seven year weekly chart, not only has it broken my three trend line rule, there was positive MACD convergence (as shorts began to massively cover) and the 200week SMA which was prior resistance, has now become support. It certainly appears that the "low" in low rates was in in 2013. I should also note that the monthly chart is deeply oversold. At some point, you simply run out of sellers. 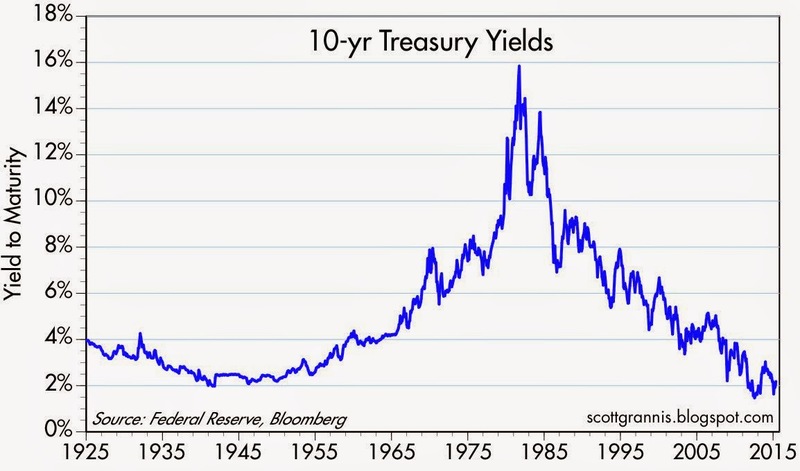 I've long said that when in mortgage banking, we watched the 10yr. each week for direction of rates and we completely ignored the Fed raising or lowering rates. 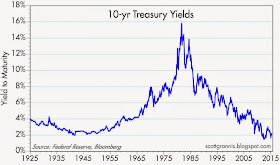 They were a laggard; the 10yr was already there. I've been a close observer of the bond market for over 25 years, and it continues to amaze me with its ability to see the future of inflation and real economic growth. The Market Will Always Come Back? Do They? Your hear the reassuring echos all of the time. "Don't worry! The market will always come back." But do they? What about dividend reinvesting and adjusted for inflation? 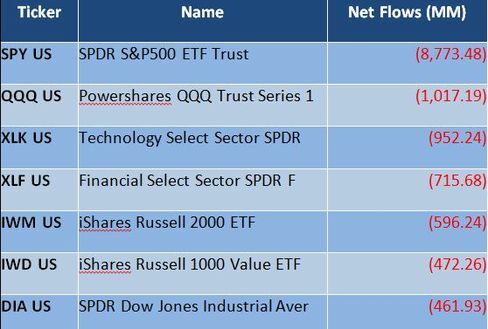 Given the data, one can easily see why smart money continues to invest in bonds, annuities, universal life, etc. Merely my .02 cents but remember, charts don't lie - people do. Consider these two overlays — one with the nominal price, excluding dividends, and the other with the price adjusted for inflation based on the Consumer Price Index for Urban Consumers (which I usually just refer to as the CPI). The charts below have been updated through today's close.